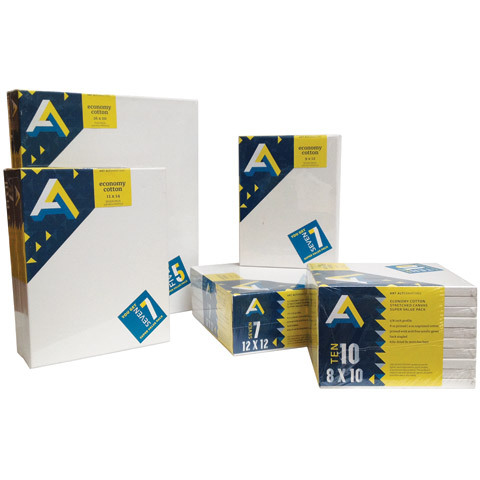 These economically friendly, super value packs of canvas are great for lighter paint applications, quick studies, practice and classroom or high volume use. The unbleached 4 oz. cotton is primed with acid-free acrylic titanium gesso to a finished weight of 8 oz. and stretched around and back-stapled to 5/8" deep, kiln-dried fir stretcher bars. Suitable for use with all acrylic paints, oil paints and other wet or dry media. The number of canvases per pack varies by size.